This manual is a comprehensive compilation of "methods that work" for deriving, characterizing, and differentiating hPSCs, written by the researchers who developed and tested the methods and use them every day in their laboratories. The manual is much more than a collection of recipes; it is intended to spark the interest of scientists in areas of stem cell biology that they may not have considered to be important to their work. 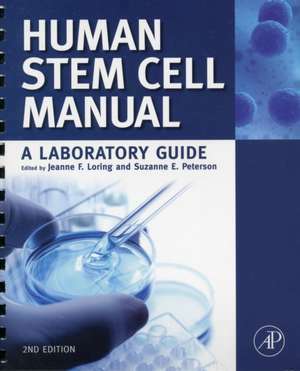 The second edition of the Human Stem Cell Manual is an extraordinary laboratory guide for both experienced stem cell researchers and those just beginning to use stem cells in their work. Scientists engaged in any aspect of stem cell research, as well as undergraduate and graduate students enrolled in laboratory courses.